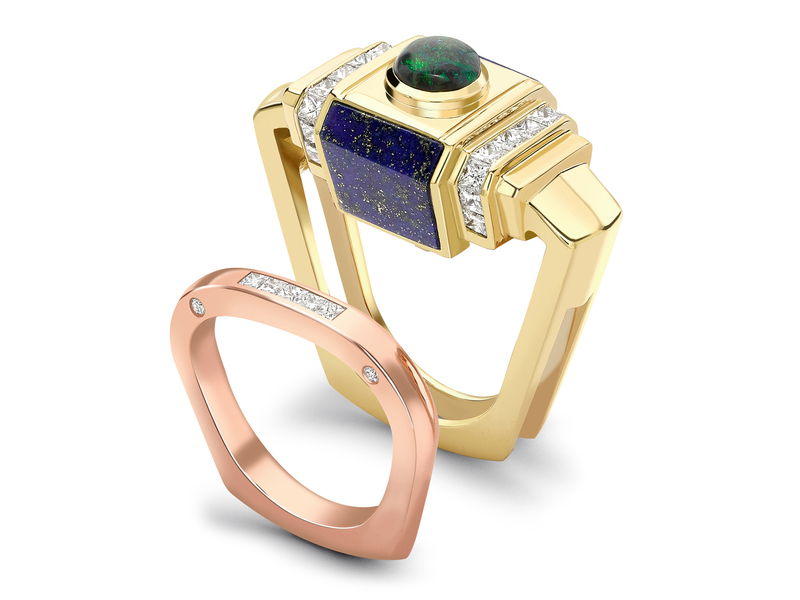 2 part engagement ring. 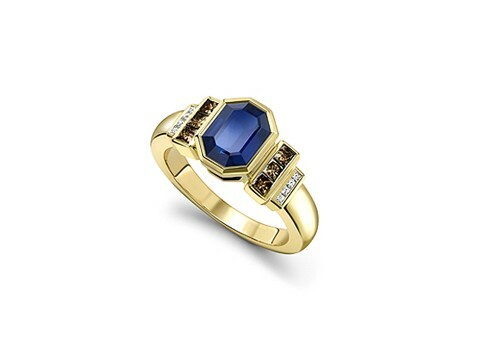 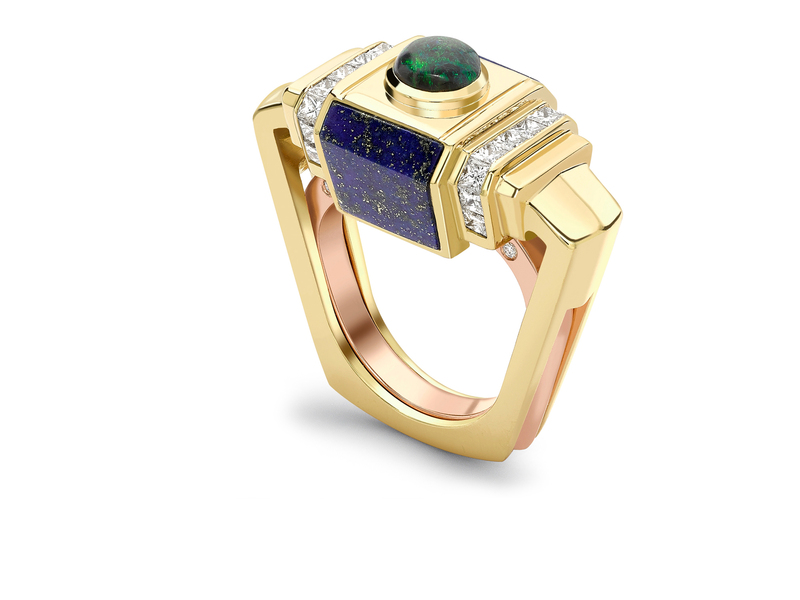 Large structured yellow gold with part with princess cut diamonds and cut lapis with a large central cabochon black opal. 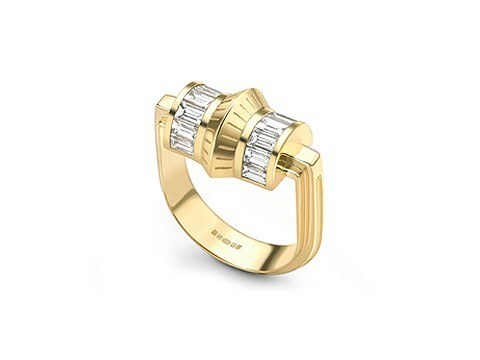 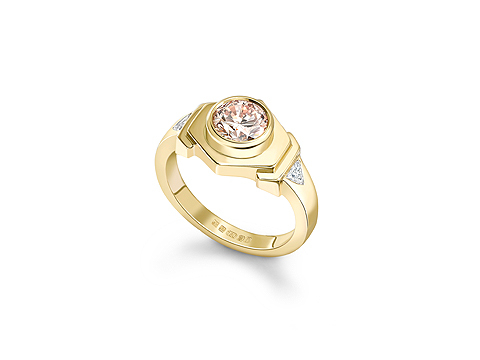 Small rose gold and diamond band to slot inside other.